On a busy sports day in which the Cowboys moved closer to a corporate partner and the Mavericks diminished the role of Donnie Nelson by hiring a new GM, the Rangers have made the most of their afternoon at-bat via a trade with the Chicago Cubs. In this year's deadline deal the Rangers are giving up pitcher Justin Grimm and minor-league prospects Mike Olt and C.J. 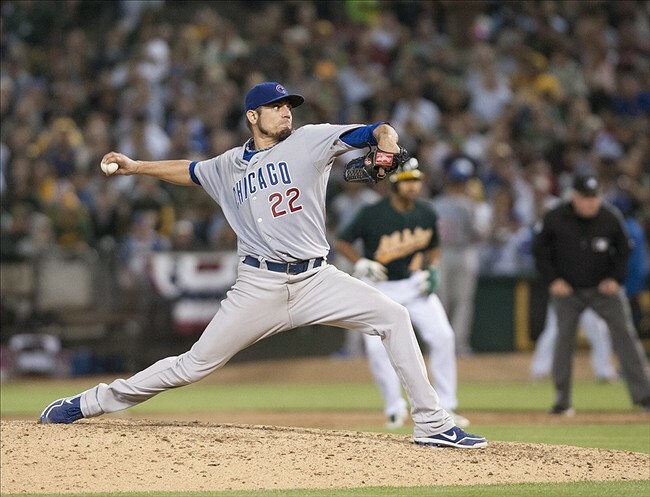 Edwards in return for a Cubs' starting pitcher in hopes of a playoff push. We'll break this deal down in detail tomorrow, but on the surface the Rangers - despite not giving up the farm (system) - need to make a deep post-season run and re-sign Garza next winter to win the trade. If they don't re-sign Garza I'm pissed about this. Letting go Grimm and Olt for a half season player won't cut it. I kind of agree but Grimm had looked terrible in his past few starts, and where are we going to put Olt? The reason you have strong prospects is to have the ability to acquire what you need. I believe the Rangers got something they desperately needed in good starting pitching. I would have let them trade Profar if it meant bringing in a young bat such as Giancarlo Stanton. All that being said they really need to resign Garza to a decent deal. I am a Cubs fan as well so I am excited that they got Olt. They need some bats in their line up so hopefully he will be part of the answer to their terrible play.